Let's face it, our hectic schedule leave us with little time for ourselves. We often neglect sparing a few minutes to take rest and let the body relax. The entire day go about running around, meeting errands and in the end we rarely do anything to relieve the tension that builds up in our feet. Times like these call for some pampering. So, how to do pedicure in the comfort of your home? I sincerely believe that for a pair of beautiful legs one must give equal importance to the feet too. I have often seen women who make all the effort to be well dressed and well-groomed, but then when it comes to their feet, they completely ignore them because of which they are either sore or with chapped heels. It’s a pity. Not many of you may be aware of the fact that our feet contain vital nerves that help in the functioning of the entire body - right from the spine to the heart and stomach. This is the reason why the Thai concept of acupressure massage is popular in relieving stress. Not only does it relax tired feet but also heals parts of the body that are not working properly. Silky smooth and shapely legs are a dream come true, but it is not an easy task. For well-shaped legs and toned calf muscles, exercise is important. Cycling and swimming are great options as well as certain yoga postures that help in strengthening the leg muscles. 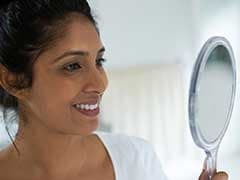 When it comes to grooming, there are different methods of removing unwanted hair like shaving, creams, gels, waxing, etc. Personally, I feel waxing is still by far the best method of hair removal. The one rule you should always follow is to use an anti-septic cold compress to wipe the skin after waxing. I have seen the best of spas and salons using hot towels to easily remove the wax from the skin, but it is important to disinfect the skin and close the pores that have been opened during waxing. Applying a moisturiser after waxing is also just as important for a perfect finish. There is nothing quite as heavenly as a good pedicure. You can do it at home but it really is never the same. 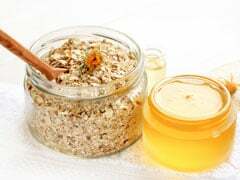 However, if you still want a DIY routine, put together the following list of items -pumice stone, nail brush, loofah, file, nail cleaner, cuticle pusher, a heavy duty moisturising cream, nail cutter, acetone, herbal shampoo, lemon slices, a tub of hot water, marigold flowers, honey and towels. 2. 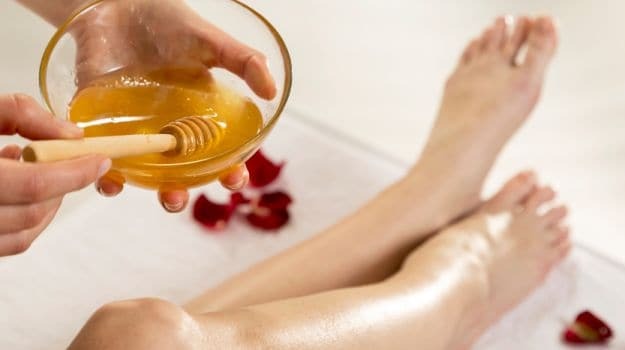 Massage a little cream or honey on the nails and dip into a tub of hot soapy water to which you have added some fresh lemon slices and marigold petals (believe me it makes all the difference and you’ll feel like a queen!). 1. Take 2 litres boiled water and add in 2 cups pine needles (leaves), 2 cups rose petals and 2 tsp peppermint oil. 2. Massage the feet with castor oil and then soak them in this soothing brew for about 10 minutes. 3. Add marbles or small pebbles in the tub and roll your heels on them to relax tired aching feet. 4. Dry briskly with a towel and rub in a good lemon massage cream. I constantly receive requests for natural remedy for cracked heels. But honestly, one just has to be regular with a foot care program by using a loofah and keeping the feet well moisturised and clean at all times. 1. Clean the feet well with a pumice stone and nail brush and pat dry. 2. Massage the feet well with a heavy duty cream or sesame and sandalwood oil until the skin has absorbed most of it. 3. Melt a candle in a double boiler and when slightly cool, brush it on the heels and allow it to solidify. This remedy is best followed at night. Put on cotton socks and go to bed. In the morning, remove the socks and peel off the layer of wax. Follow it daily for a week and you will find a huge difference in the way your feet look and feel. For those of you suffering from chipped nails, mix 1 tsp of gelatine with half a glass of water and drink it daily for two weeks. Besides this, keep the nails short and well-trimmed to strengthen the base. Long toe nails not only look awful, but can be quite painful in closed shoes. Let your nails breathe and if at all they have turned yellow due to regular use of nail colour, please let them breathe. A quick tip: rub lemon slices on the toe nails daily and allow the juice to soak in. You will find them coming back to their natural healthy colour in no time. CommentsNow that you have some wonderful foot pampering tips in your beauty book, start right away!